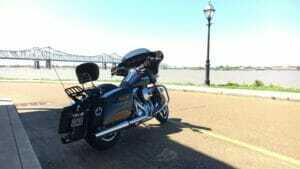 When you’re riding in a pack of motorcycles, it requires a different style of riding in order to be safe. Riding in a large group can be fun, but each rider needs to respect the group dynamic or the consequences can be severe. We’ve put together some Tips For Safe Group Riding that we consider to be standard operating procedure, listed below. 1) Ride In Staggered Formation: Essentially, this technique provides a “buffer zone’ between riders, where the bikes are position in a staggered formation in the lane, so you’re at least two seconds behind the rider directly in front of you, and one second behind the rider offset in front of you. You do not want to be riding directly behind someone, in case they stop suddenly. You want enough time to stop your own bike, or swerve to avoid them, safely. Staggered formation provides the best opportunity to do both. 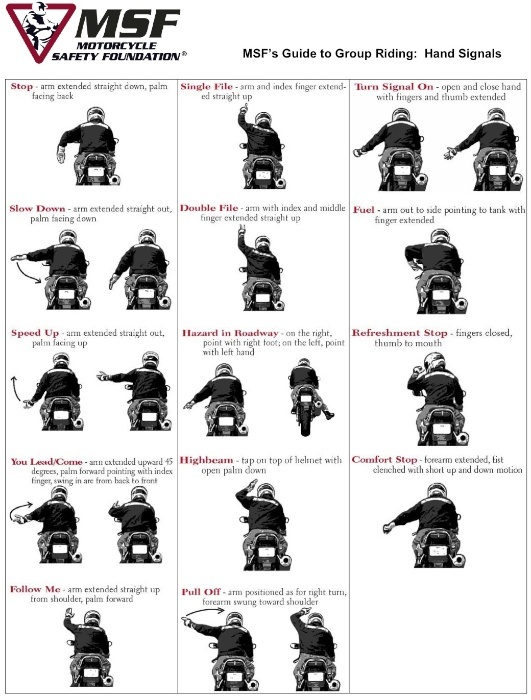 We’ve nicked the graphic below from the Motorcycle Safety Foundation as it provides a good visual illustration of the technique. On tight roads and in corners, of course it’s hard to ride staggered, so then it’s just a matter of leaving enough distance between bike. 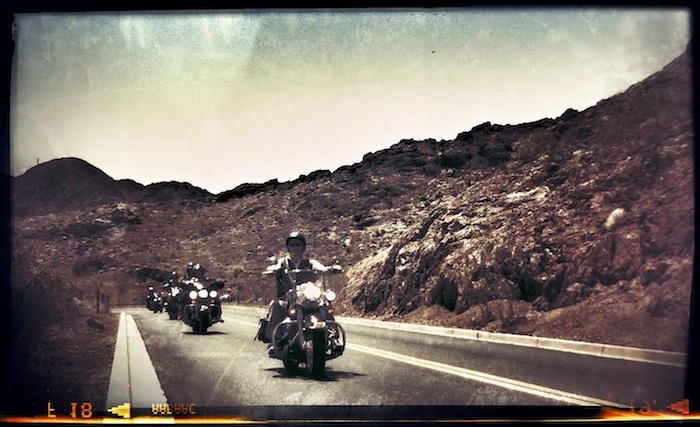 But on open roads, staggered formation isn’t just a good idea for group riding, it’s critical for safety. 2) Think in 4D: You’ve got to be aware of what’s happening in four dimensions; in front, to the side, and behind you are the group dimensions, and you need to understand where you are in relation to everyone else in the group, as it will constantly change. But you also need to be aware of what’s happening outside the group – a truck merging onto the highway, road hazards, a car up ahead suddenly braking hard, or when you’re coming to a stoplight. 4D thinking could also be referred to as situational awareness, albeit on a more casual level. It’s a critical skill for motorcycling in general, but especially important when riding in groups. 3) Ride Selflessly: Really seasoned group riders act almost like one organism, dealing with these threats smoothly, telepathically. When you’re riding with new people, it will take some time to get this down, but if everyone puts the safety above the group above their own interests, it will happen sooner. People who suddenly accelerate from mid pack, overtake riders who don’t expect it, put everyone at risk. While we all feel the need to blow out the cobwebs from time to time, it’s better to fall back behind the group, have your fun, and then reintegrate towards the tail. 5) Don’t Screw Around With Farkles: When we see riders with Sat Nav, MP3 Players, satellite radio and mobile phones on their handlebars, we always make sure we’re riding BEHIND them. All these gadgets distract a rider, and distractions can be deadly within a group. We’ve been guiding tours since the late 1990’s, and have seen many accidents caused by a rider distracted by gadgets, missing a corner, not seeing a light’s gone red in front. Now imagine this scenario with a load of bike in front: bowling pins. Our strong advice would be to leave all this crap at home, it doesn’t make the ride any better and could make it a lot worse. 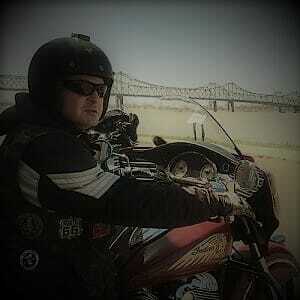 6) Don’t Rush To Rejoin: You need to ride at your own pace at all times on a motorcycle. If you fall behind, or stop and lost touch with the group, don’t panic. Make sure to have mobile numbers for other members in the group, and of course some general idea of where everyone’s head. You’ll make contact again soon enough. In fact, you might have a little adventure of your own, if you let it happen. Being rushed or panicked is never a good state of mind to be in on a motorcycle, and usually, it’s totally unnecessary. 7) Highways: Merging, Exits and Spacing: On highways, just because a group of bike wants to merge into traffic together, doesn’t mean that the speeding cars and trucks all around you are going to get out of the way and let you do it. Chances are, when a group of bikes enter a highway, they’re going to get split up as they merge, in fact this may often be the safest way to do it. The goal (on American roads anyway) should be to get over to the far left lanes, where speed is more constant, and then safely reconnect as a group. Don’t put blinders on and rush out in front of oncoming traffic just because you don’t want to lose your group, it’s very risky. For exits, ideally everyone in the group knows ahead of time what the number of the exit is, or at least what the general route/final destination is. That way, if an exit is missed, the rider or riders can get off at the next exit and double back. We’ve seen all manner of bad behavior because of mixed exits, including riders going the wrong way down a highway shoulder to get a missed exit. It’s critical to be mature and smart about this. Proper spacing on highways when group riding is a hard but very necessary thing to get the hang of. The group should of course be riding staggered as mentioned above, and riding at a consistent speed, from nose to tail. When one or two riders in the pack have inconsistent speed, the group spaces out, leaving holes in the pack. On American roads, this is a red rag to a bull – cars and lorries will insert themselves into these spaces, or cut across lanes through the group. This is dangerous for obvious reasons. Make sure the group is riding at or slightly above the speed of surrounding traffic – if you’re lumbering along, this is a invitation to get tailgated, or aggressively passed. If for some reason the group does get broken up, again, ideally everyone knows the day’s destination. Being in a group does not provide some invisible bubble of safety or forgiveness for careless riding. We hope you’ve found our Tips For Safe Group Riding useful. We’d love to hear your comments below. Cheers Mark. Hope you have many years of safe riding ahead of you! A very informative article indeed! 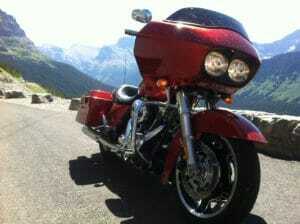 Motorcycling is adventurous and dangerous at the same time. It requires us to be vigilant all the time and the intensity of vigilance increases when we are riding in a group. Always keep the group’s safety your top priority as it will ensure a much more safer ride.